What is the best brake pad material? How to Check Your Brake Pads? Brake pads is a part of regular maintenance, as worn out brake pads do not provide adequate friction, and as a result it will take more time to bring your truck to the full stop. 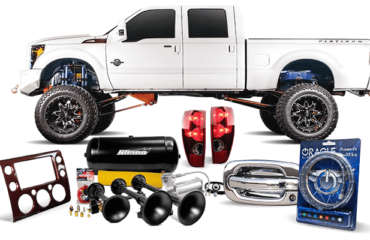 Trucks weigh more, than regular passenger cars, and in you own one, you certainly need to keep its brakes in top condition, especially if you use your truck for towing. A quality set of brakes is a good investment not only into your vehicle, but into your own safety. 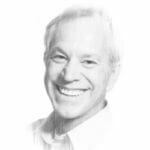 So, which brake pads are the best for trucks? Let us take a look. Ceramic composite brake pads are designed for good overall everyday performance. 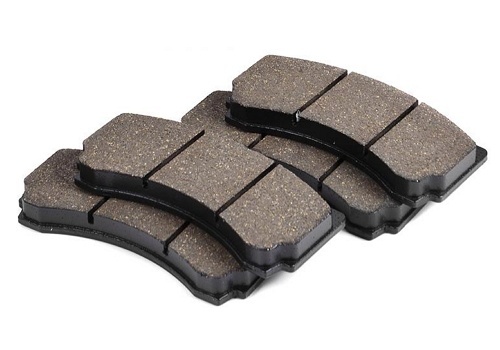 These brake pads are lasting and provide proper friction to stop a vehicle. According to the marketing researches, this is the most popular type of brake pads people pick for their vehicles. Semi-metallic brake pads have a long expectancy. Such brake pads are ideal for racing cars, vehicles with a lot of horsepower as well as towing and mountainous areas. The biggest benefit of metallic brake pads is their increased wear resistance. As a rule, this type of brake pads is installed by the car makers on the majority of vehicles. These pads do their job and last long. Besides, they can be restored, if necessary. Organic pads ensure quiet operation, which is their biggest plus, yet they are not heat-resistant. That’s the reason, why they wear out quickly and, depending on their composition, can decompose due to high heat and lose their braking ability. This is definitely not the best thing to pick for a truck. These brake pads are made of ferro-carbon, a wear-resistant combination of metal and carbon. These pads feature excellent friction in combination with high wear resistance. 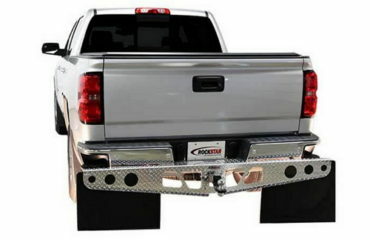 This is a great upgrade for your truck’s brakes, especially if you are into towing. These pads do not produce a lot of dust and allow brake rotors cool down quicker, compared to the metal pads. Street Performance pads by StopTech is a good solution for trucks, used as a daily driver. They ensure even wear of rotor and feature significant heat resistance due to the compound they are made of. These pads are installed with factory shims, and are a good alternative to stock pads. These pads are a perfect solution, for those, who tow a trailer with their pickup truck or SUV. They are manufactured specifically for heavy-duty usage, so if you are into towing, you should definitely consider Green Supreme pads as a towing-oriented alternative to what you’ve already got on your truck from the factory. EBC Greenstuff 6000 and 7000 Series brake pads are best-in-class replacement pads for trucks and SUVs. The latest version of Greenstuff pads with a green powder coating ensures great stopping power, lower dust and repeated heavy brake use without brake “Fall-Off”. Besides, it features very minimal disc/rotor damage characteristics. Hawk offers stellar-performing brake pads engineered by truck brake pad experts. Hawk Performance LTS brake pads are sure to outlast the competition and stock pads in terms of pad and rotor wear. Installing LTS brake pads, you get improved stopping power, better fade resistance, excellent rotor and pad life. 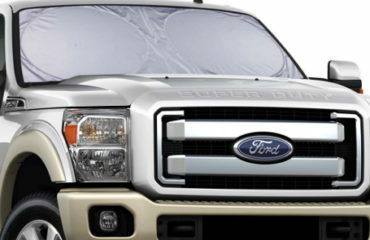 Besides, it features low dust and almost noise-free performance. Wilwood brake pads deliver race-refined performance and offer excellent wear and friction properties, high fade resistance, quiet running with lower dust compared to OE parts.